Here is another one. Updated from the one above. A more linear graph here. Slight discrepancies, but very minor. I know from experience that a 1:7 18" will stabilize 50gr loads just fine. It’s better to have too much twist than too little. These graphs are ball parks. 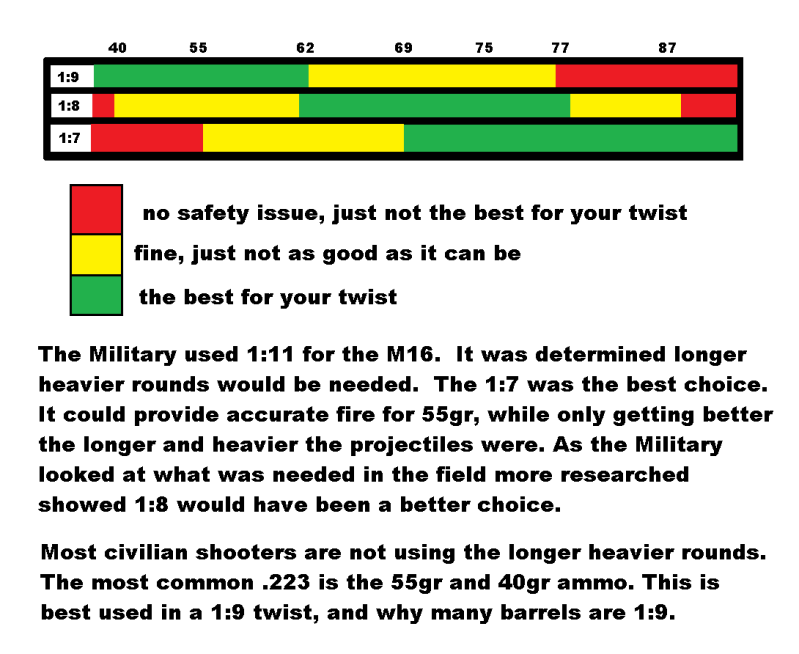 Some firearms, even identical, will differ from others. 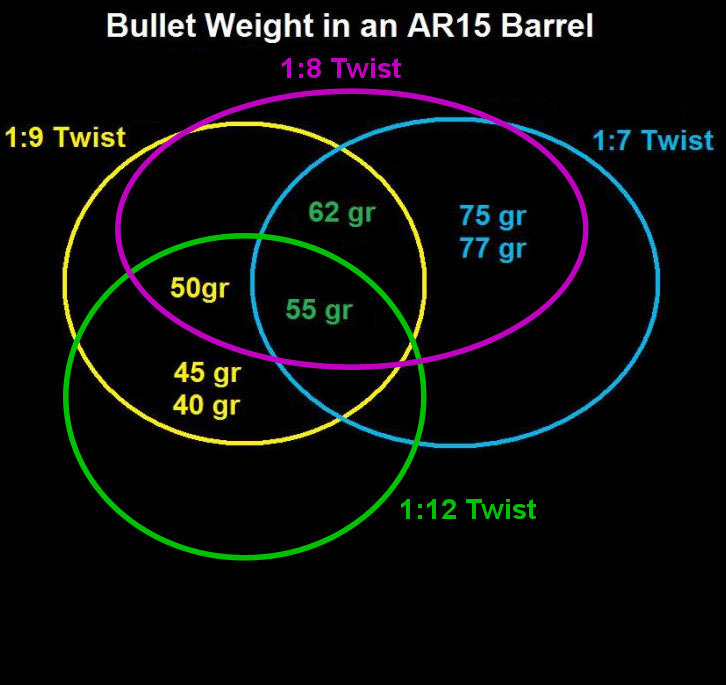 Only way to tell what works best is to try them, but this does help narrow down some ideas for new shooters to go off of.